Smartwatches lurched into mainstream existence last year, and even in 2014 it seems news surrounding the tech just keeps getting worse. It seems Apple along with Qualcomm are suffering major smartwatch manufacturing problems. 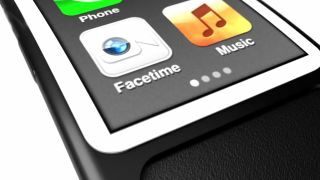 According to sources from the "upstream supply chain," DigiTimes claimed that less than half of Apple's iWatch and Qualcomm's Toq smartwatches are coming out of the factory as usable devices. The problem seems to stem from difficulties in applying surface treatments to the metal injection molded (MIM) watch chassis. Like injection molded LEGO bricks, the MIM process produces extremely intricate shapes through injection molding while maintaining the object's rigidness. The main difference is that MIM produces objects using metal rather than plastic. MIM-made components have classically only been implemented with electronic internals. But, as smartwatches use much smaller parts, MIMs have become part of the external frame and require surface treatments to apply rubberized exteriors and attach glass screens. The sometimes-on, sometimes-off DigiTimes claimed manufacturers are having difficulties supplying so many clients that all require large quantities of parts. Aside from Apple and Qualcomm, Sony, Samsung, Pebble and Nike are just a few names already in the smartwatch game. Meanwhile, the wearable market will only continue to boom as more brands look to join including Casio, Archos, Adidas, Epson, LG, Neptune, and even more rumored players. If these manufacturing problems are true, adding more competitors might make smartwatch supplies very low for all involved. Smartwatches have already come across a poor start thanks to lackluster sales coupled with high returns. Not to mention Samsung's David Eun, head of the Open Innovation Center, calling the smartwatch unripe fruit and technology that wasn't quite there yet. We'll see if Apple and Qualcomm can whip their manufacturing partners into shape before it's too late. LG is preparing a big screen OLED TV show that will blow you away.